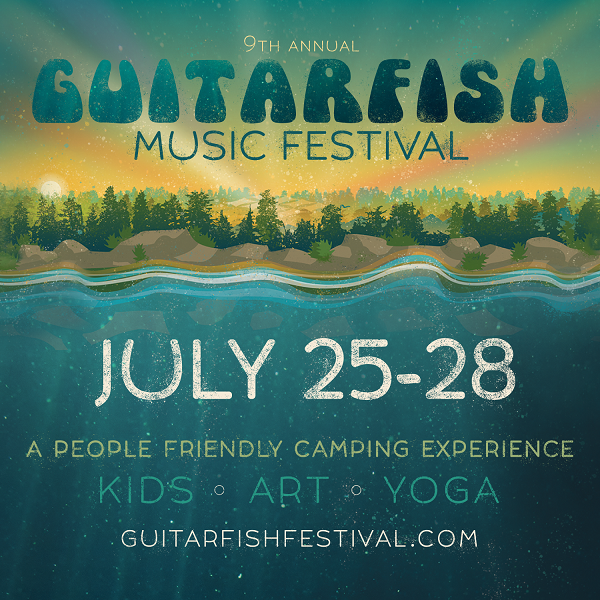 Guitarfish is an intimate camping and music experience in a magical setting; over a mile high, in the woods, on the South Fork of the Yuba River, at the Cisco Grove Campground (near Truckee, CA). 2019 line-up information coming soon! Known for a funk-tastic, groove-fueled musical lineup, the experience includes an action-packed kidsville and family camp, swimming holes a short stroll from the stages, access to world class mountain & road biking routes, music playshops, a world market, yoga classes from sunrise to sunset, hiking + more. Camping amongst family and friends, while witnessing inspired live music in a natural setting truly enriches lives and fuels the heart!